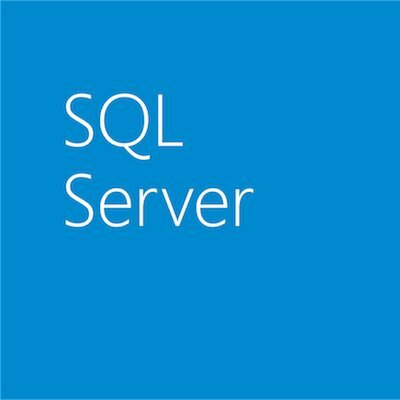 Today, Takeshi Numoto blogged about the upcoming SQL Server 2008 and 2008 R2 end of support. If you’ve been thinking about what to do with your SQL Server 2008 and 2008 R2 databases, you’re not alone. These databases reach end of support on July 9, 2019, and many organizations have started planning in earnest for this milestone. Which brings us to Will, a database admin at that development shop downtown. Bucking the job-hopping trends of today, Will’s been a stalwart for his company, wrangling data for them since the mid-2000s. He remembers leading the installation of SQL Server 2008. Back then, connections were speedy, requests processed swiftly. Security, efficiency, and good clean design existed in abundance—there was a place for every byte and every byte was in its place. App developers loved Will because he made sure their data was right where they needed it, when they needed it. What an idyllic, peaceful time! A lot has happened in the decade since. Over the years, Will’s information transfer network has grown and evolved—forking and pooling and spidering as it has had to make new, less-efficient references. The schema, once so clear, is now muddied and confusing, obscuring paths for formerly responsive queries. Latency abounds. And lurking in every shadow? The threat of unidentified, potentially insecure, rogue requests for information. Those developers aren’t nearly so happy anymore. Ugh. Fortunately, hope is not lost for Will. He can restore the organizational marvel that was yesterday’s landscape—and layer on even more improvements. Yes, modernization to SQL Server 2017 or Azure SQL Database must be undertaken carefully, with planning and analysis and meticulous list-making. But it’s a journey worth taking. And luckily for Will—and you—there’s a free database migration guide that provides step-by-step instructions for getting from here to there. Plus, Will’s options aren’t limited to a single choice. The new SQL Server runs on numerous hosting environments and operating systems—on-premises or in the cloud, virtual machine or Azure data services, Windows or Linux. As soon as it’s time to reroute those data streams, clear away the puddles, and brighten up the place, we’re here to help. As mentioned, SQL Server 2008 and 2008 R2 reach the end of support on July 9, 2019. We know it can be difficult to upgrade everything before end-of-support deadlines like this. Thus, we’re offering extended security updates for SQL Server 2008 when you rehost your database in Azure Virtual Machines—with no application code changes needed. You’ll gain the critical patches you need to help keep your data safe for three more years after the end-of-support deadline, giving you time to plan and implement your next move. Find out all the details you need in the end-of-support blog post. All this is to say, the future of data is bright for Will, his data-loving development team, and you. Read about the recently announced end-of-support offer. Watch a free webinar on your end-of-support options. See what’s new since 2008 in our feature comparison infographic. Start your SQL Server migration plan now. Download a free trial of SQL Server 2017. Create a managed cloud database with an Azure free account.